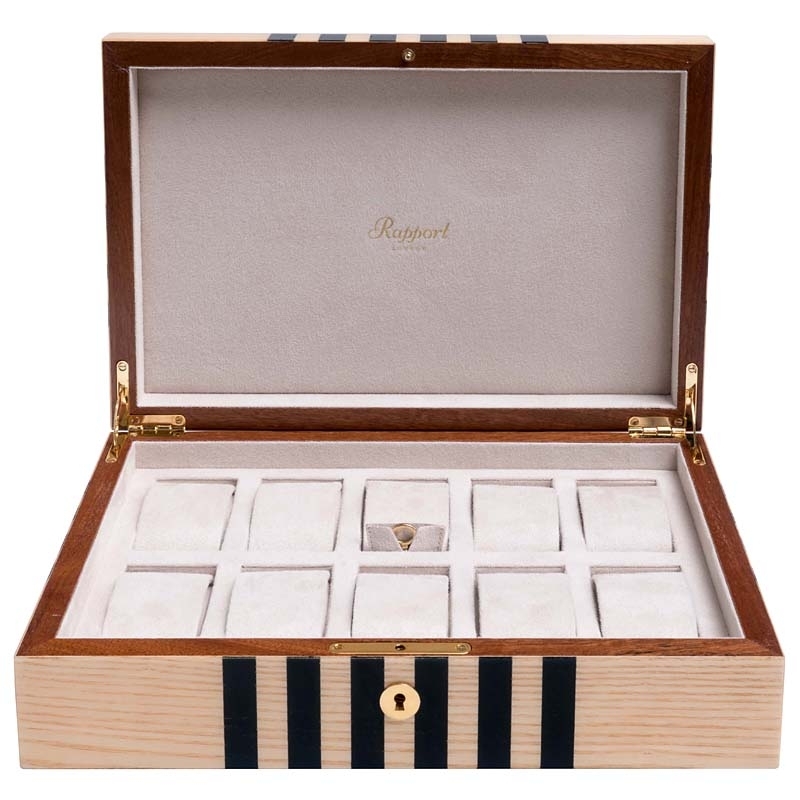 Choose 10 watch storage box L442 by Rapport London to safely store your prestigious timepieces! 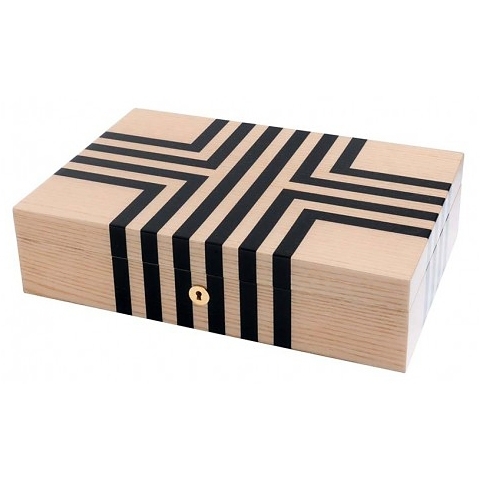 It's masterly created from fine wood finished with layers of hand applied lacquer. 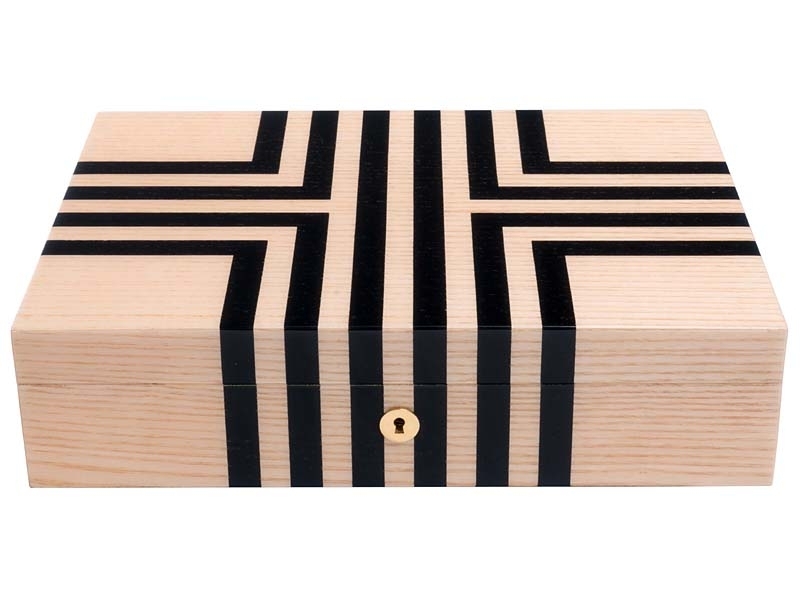 Black "labyrinth" pattern completes this unique design. There're ten separate compartments with removable pillow-cushions which securely hold the watches. The interior is lined with luxurious beige suede. 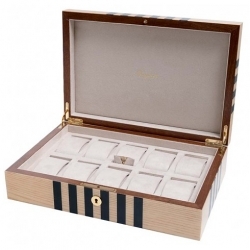 The storage box measures 360 mm in width, 240 mm in depth and 100 mm in height. This Rapport collector box is also key lockable.